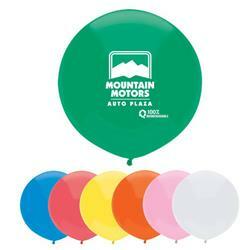 Outdoor custom balloons for auto dealerships and conventions by Adco Marketing. 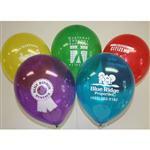 17" Outdoor display balloon in basic colors. Manufactured to professional standards and engineered for outdoor use. The thick wall design provides a flying time of 35-50 hours (with helium) depending on atmospheric conditions. 100% biodegradable latex. Made in the USA. Great for auto dealerships and conventions. FREE 3 DAY RUSH! Production Times Available: Standard production 5 working days. 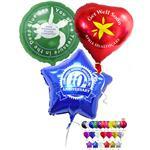 Available Imprint Options: One color printing only.